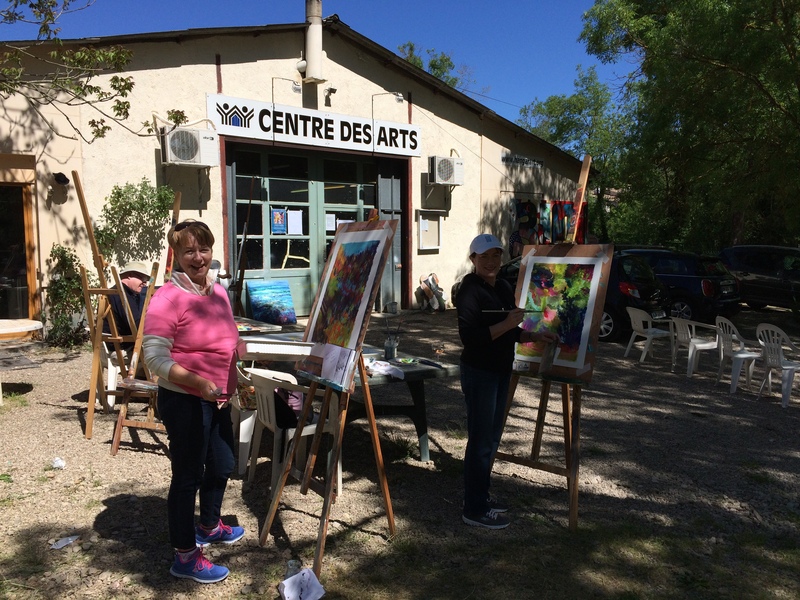 Day 2 – a whole day painting with the Hangar Art Association, near Châteauneuf de Grasse, where I had been a member and instructor during our time in France. 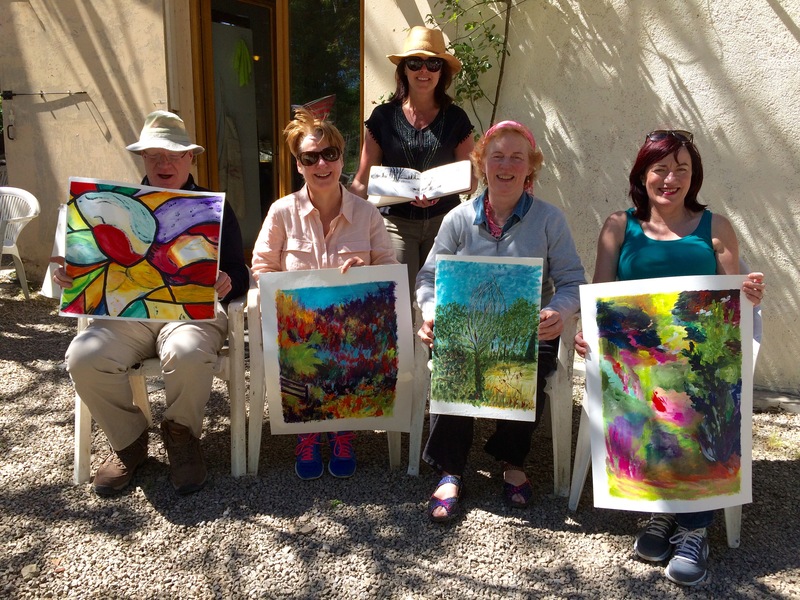 For our Irish artists, a “French style” art workshop is a special experience – in the sunshine, under the trees, with a glass of rosé in hand to inspire creative flow! Dutch abstract artist Pim de Jongh leads an international gathering of artists here every Wednesday in a relaxed and informal setting. We are visitors today, warmly welcomed by all. 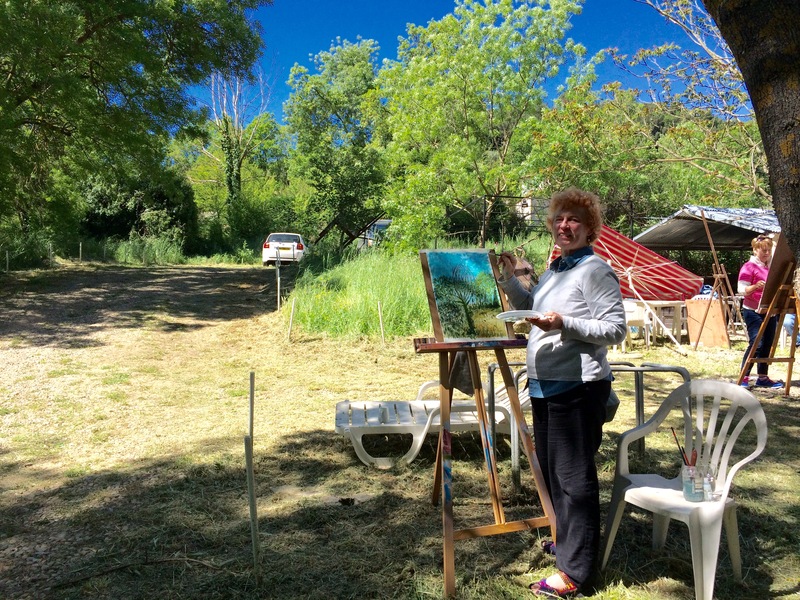 Using acrylics on paper, we can transform our sketches into a larger format, or simply paint the scene before us, tall grass waving in the wind, cypress trees against the skyline, a bright canopy of green leaves overhead. 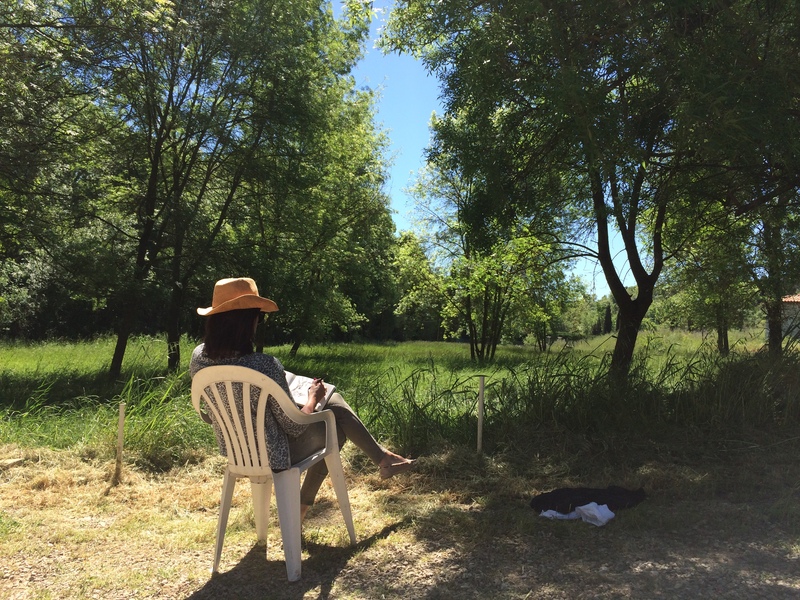 Ann finds her perfect spot to sketch, Pauline turns her attention to the arching branches of a beautiful tree. 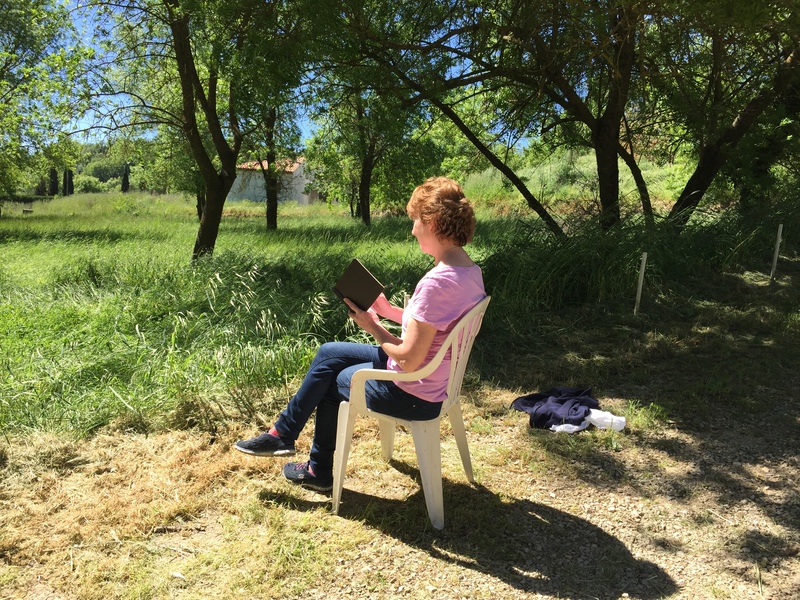 Colette paints a colourful and expressive landscape from one of her sketches from the Bonnard Museum yesterday. 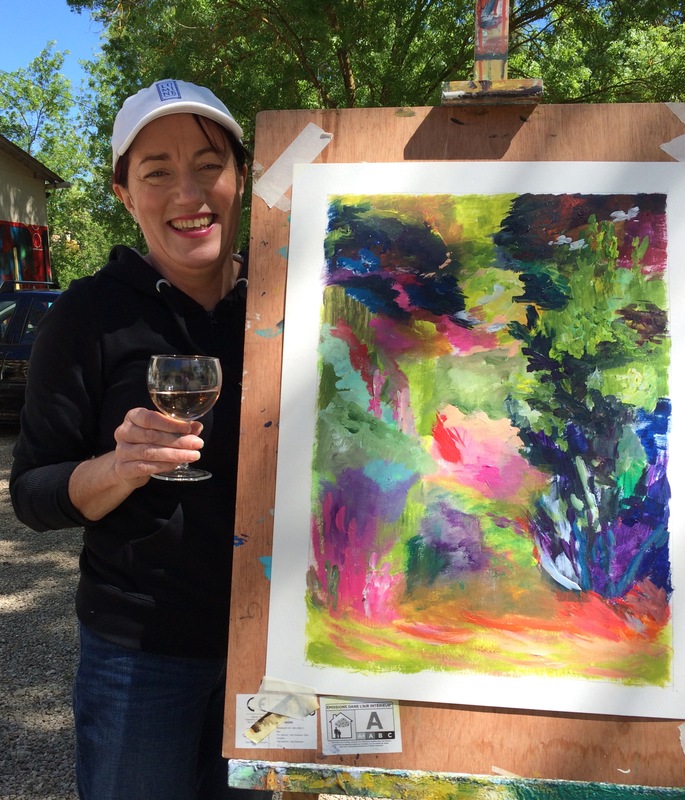 Maria too, inspired by Bonnard, paints this beautiful impressionistic garden scene. 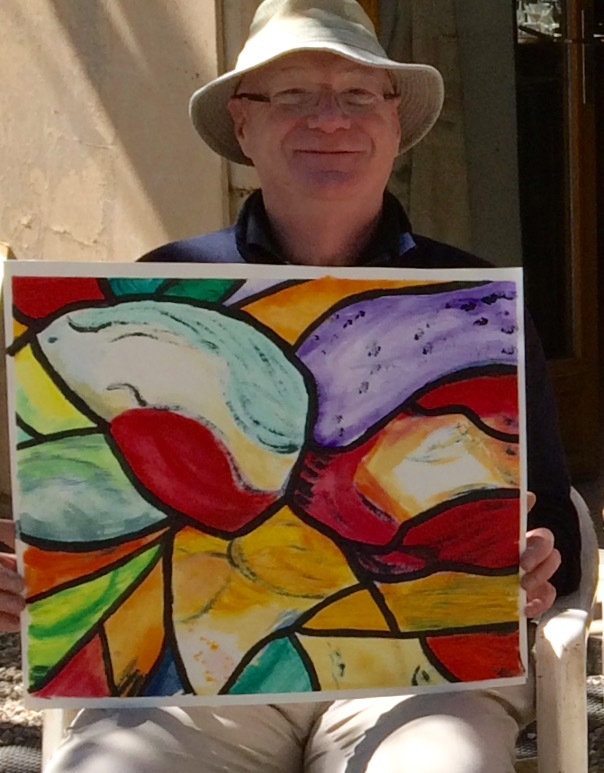 Kieran, impressed by the stained glass of Tobiasse in the Chapelle Saint Sauveur yesterday, develops his sketches into this fabulous abstract piece . 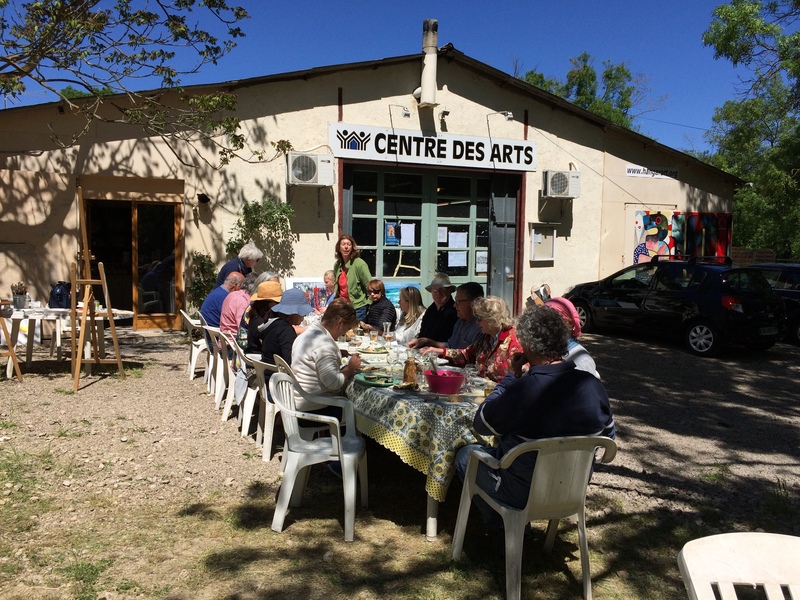 The highlight of our day however, is when lunch is served on a long table in the sun – salad, cheese, pâté, baguettes, and a couple of bottles of Provençal rosé wine – this French lifestyle could grow on us! 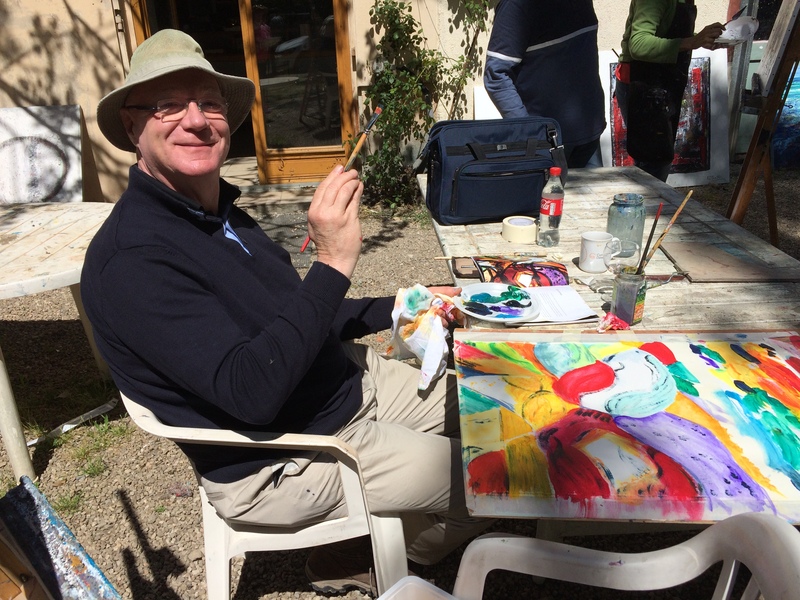 Despite the sun, and the wine, and the huge sense of relaxation and wellbeing – we do manage to get back to our easels after lunch! Its been a great day in excellent company, with the guidance and support of Pim and the Hangar team. We’ve produced some new work with a fresh approach, and drawn on the influence of the art we’ve seen and the light and colour of our surroundings. Our wish now is to forge a creative partnership between the Hangar and the Enniskerry Schoolhouse for Art, facilitating an exchange of our artists and tutors – we look forward to welcoming our Hangar friends to Dublin in the future! Back in Le Cannet, a lovely evening completes our day. 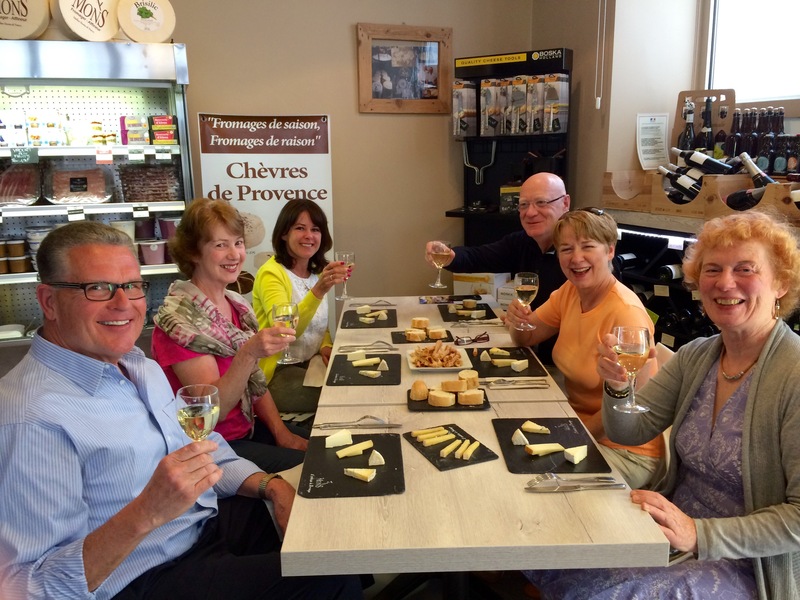 We have arranged a wine and cheese tasting with our friend Philippe from Mons Fromager, one of the finest artisan cheese producers in France. Later we are welcomed by our friend Claude, the owner and chef of her lovely intimate Lou Meidjou restaurant. 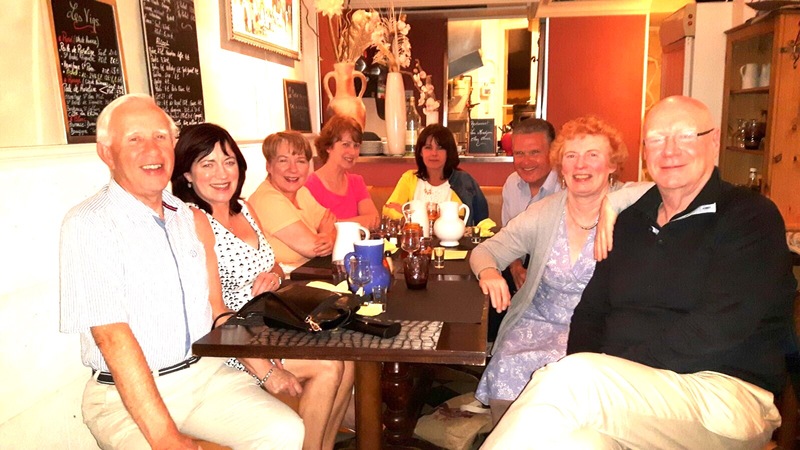 A beautiful meal to complete a full day of sunshine, art, fine food, friendship and fun.